Easy Google Maps Downloader is a tool that can automatically download the Google Maps images to your PC. It can download the small tiles and save them to your hard disk, including the normal maps, satellite maps, hybrid maps and terrain maps. After downloading, you can view the maps offline by its tool Maps Viewer, or you can combine the small images into one big map image. If you want to make a map of your city by yourself, it is very useful for you. By default, the map is divided into several smaller pieces, but Easy Google Maps Downloader features an image combiner that can put the chunks together in an instant. You can use the integrated Map Viewer to view the final map. 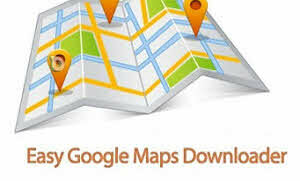 All in all, Easy Google Maps Downloader is a fast and reliable choice in its field of work. Accessibility, speed and image quality are its strongest points.